We are camped beside the étang de Bellebouche, one of the larger lakes in La Brenne, which lies in between Vendœuvres and Mézières-en-Brenne. What I didn’t realize on our first visit here seven years ago was that there are a couple of small lakes beside the main large lake. One of these smaller lakes seems to be for fishing and the other, with fishing prohibited, may be for breeding fish to stock the others. The weather continued to be set fair so we went off to investigate the first small lake. Things didn’t look very active at first but we soon got our eyes in and began snapping suspects. Having discovered the presence of Southern Darters (Sympetrum meridionale) after arriving yesterday, I wasn’t surprised to see less than familiar looking subjects but, as usual, I concentrated more on capturing images than identifying individuals through the viewfinder. Identification can wait ‘til later. Later duly arrived after an ill-prepared afternoon walk half-way around the large lake – it would have been all the way around but we hadn’t committed the route to memory and seemed to be drifting too far away from the lake. After returning we began sorting through our snaps. 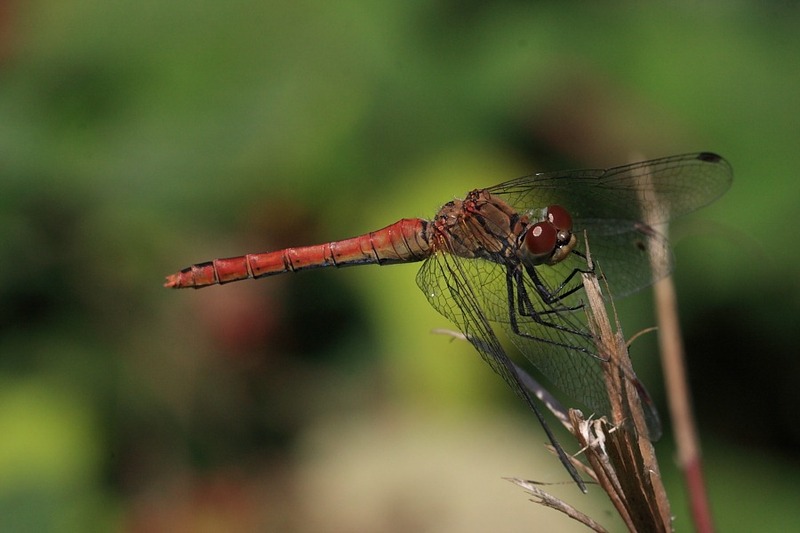 I had been vaguely assuming that all my less-than-familiar red darters were going to be Southern Darters but one in particular didn’t look right. 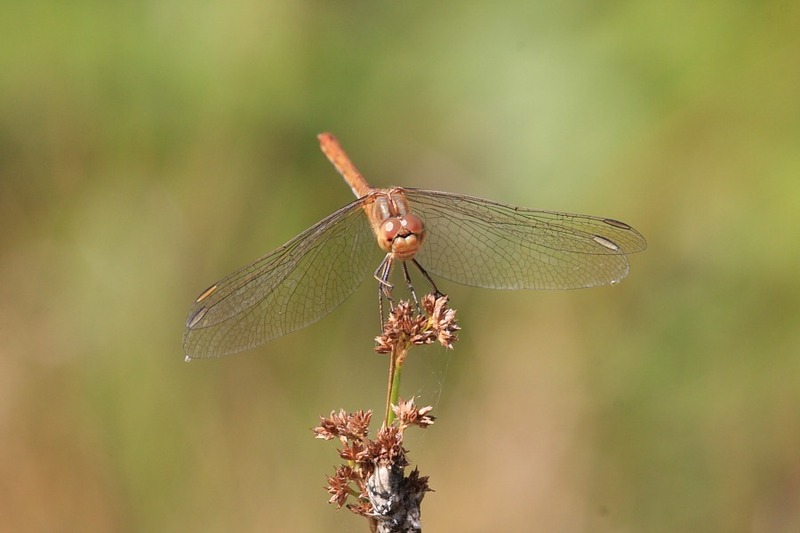 Confirmation will have to wait until I’m back at home and can get in touch with specialists at iSpot but I think what I have here is another new species for our catalogue: a Moustached Darter/Vagrant Darter (Sympetrum vulgatum). The female (right) looks right with lightish legs and the male (left) looks right except for the black legs. Curious. Anyway, for the moment we’ll call it a new spot. If correct, that’s 1½ new species in 1½ days.